In response to the increased community tension threat levels experienced by Jewish and Muslim communities in the UK, police have reached an agreement to share hate crime data with the Community Security Trust (CST) and TELL MAMA. The agreement enables the routine sharing of anonymous data to increase the shared understanding of the nature and extent of hostility experienced. Police will only refer individual details to the CST and TELL MAMA with the express permission of the victim. Tell Mama and the CST have both committed to ensuring the security and accuracy of the data, meeting rigorous standards of data protection. 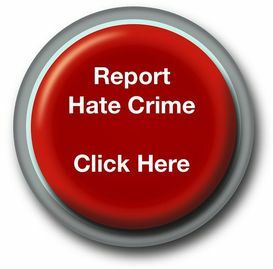 “It is essential that we have the fullest picture of targeted hate crime so that we can put measures in place to protect victims and bring offenders to justice. In the UK, we have some of the best reporting structures in the world but we know that many crimes are never reported to authorities. It's vital that we share available data to give us the clearest picture of the extent of hostility. “CST is proud of our close working partnership with the police across the UK. Our existing data sharing agreements are delivering real benefits for us all in our understanding of hate crime in local areas. This latest development will see those benefits replicated throughout the UK”. "This is an important and welcome step from the police. They are the first to implement one of the recommendations of our recent All-Party Parliamentary Report into Antisemitism and should be congratulated for doing so. Data sharing between the police and CST allows the UK to boast one of, if not, the best data set on antisemitism in the world. I am delighted that we continue to pave the way for others to act”. The data sharing agreements are available on ‘True Vision’, the Police Hate Crime website ( http://www.report-it.org.uk/information_sharing_agreement ). They allow for a single agreement signed by the National Policing Lead to be utilised by all local and national police agencies.